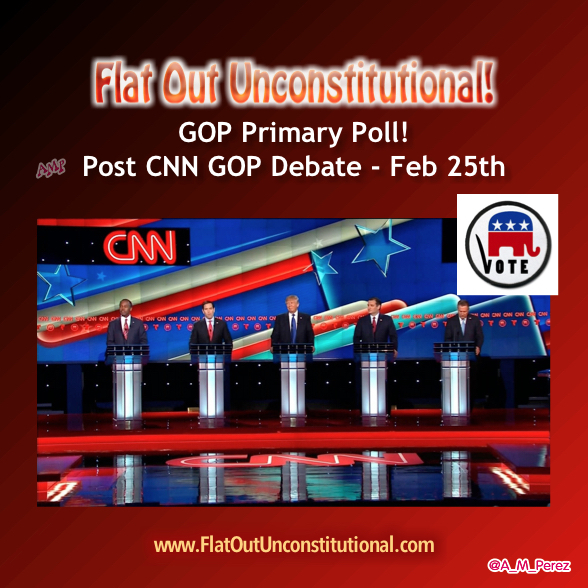 GOP Primary Poll – Post Feb 25th Debate! Down to 5 candidates in the last debate, who do you want nominated? Previous GOP Debate #10 – My Synopsis!